Non-syndromic inherited neuropathies of the peripheral nervous system, collectively known as Charcot-Marie-Tooth (CMT) disease, with prevalence as high as 1:2500 worldwide, are genetically extremely heterogeneous. Most CMT forms share the clinical features of gait dysfunction, progressive muscle weakness, and atrophy with sensory loss in distal limbs, leading to variable degrees of disability over the lifespan. So far, genetic studies in CMT have identified mutations in at least 80 different causative genes with all inheritance patterns and highly variable molecular genetic mechanisms including both loss-of-function and gain-of-function effects. Mutations in neuronal genes usually cause axonal neuropathies, while mutations in genes expressed in myelinating Schwann cells cause demyelinating neuropathies. Treatment for CMT has so far been supportive, and there are currently no effective therapies for any of the CMT forms. The discovery of causative genes and increasing insights into CMT molecular mechanisms facilitated also by the study of disease models provide new possibilities for the development of gene therapy approaches to treat CMT. Recent progress in optimizing gene delivery methods, including vectors and administration routes to target the peripheral nerves, offers promise for future therapies. 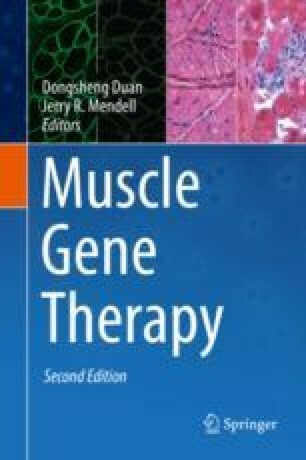 This chapter summarizes the molecular genetic mechanisms of the disease and what has been developed in recent years toward a gene therapy for some of the CMT forms. Work in the author’s laboratory is funded by the Muscular Dystrophy Association (MDA grants 277250 and 480030), by the Charcot-Marie-Tooth Association, and by AFM-Telethon (grant 19719).